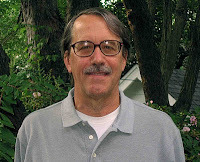 Doug Barnes is an environment and infrastructure sociologist with a strong background in economics. He has been involved in rural energy, household energy and international development issues for the last 35 years. He worked on issues of energy, environment and equity in many different developing countries, and has continually been involved in the development and implementation of innovative household surveys. He also has specialized on institutional issues for the development of decentralized electricity projects, biomass energy, and the transition from traditional to modern fuels. Among my major publications my most recent book is on Electric Power for Rural Growth, 2nd Edition. This is a complete revision of a book first published in 1988 on the impact of rural electrification on development. A new chapter updates changes in impact assessment methods during the last 2 years. The Challenge of Rural Electrification: Strategies for Developing Countries is now one of the classic studies of the institutional aspects of rural electrification. Several years ago I finished a major book on urban household energy called The Urban Energy Transition: Energy, Poverty and the Environment in the Developing World. This is a study based on household surveys in 12 countries that examines urban energy policies, environmental, and equity issues for developing countries. About 15 years ago I led the efforts to develop a strategy for rural energy for the World Bank which has had a significant influence on the World Bank’s energy program, and it was published as Rural Energy and Development: Improving Energy Supplies for Two Billion People. For other publications, see the sidebar of this blog. I have worked for 25 years at the World Bank and 4 years at Resources for the Future both of which are located in Washington DC. I was a senior advisor for India Human Development Survey (IHDS) at the University of Marlyand, College Park. Originally I became interested in international development as a Peace Corps Volunteer and spent nearly two years in the state of Maharashtra, India. Also, I am an active bicycle advocate in Washington, DC.